Notice: Due to high demand and limited bench space, entry to this shoot is by reservation only. Contact the Match Director by phone or email. 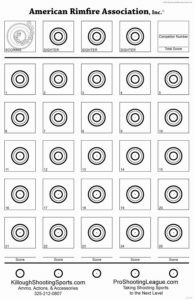 This is precision shooting with 22 LR rifles from the shooting bench. This shoot is sanctioned by the American Rimfire Association (www.americanrimfire.com). The course of fire consists of four target cards (6 for the end-of-season Club match). There are 25 targets per card – one shot per target. 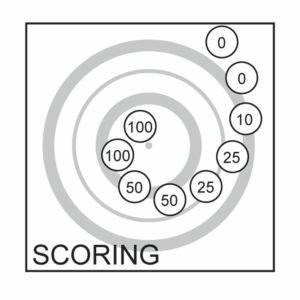 Competitors are given 20 minutes to shoot each target card. There is a 10 minute preparation period before the official match begins which may be used for warm-up and sight-in on separate sighter targets (provided by the match director). There are three sighter targets at the top of each target card which may be used during the match, along with the separate sighter targets. Shooting is conducted at 50 yards. Any rest may be used to shoot from the bench, so long as any such rest prevents the barreled action from being affixed to the bench in an immovable manner, and the rest itself is not attached to the bench. There are two divisions – ARA and Club. Competition Level: All levels are welcome. There are two classes: Sporter and Unlimited. Unlimited Class: Any 22 LR rifle. Sporter class only - The remainder of rules are the same as the ARA Division except that scores are not reported to the ARA. 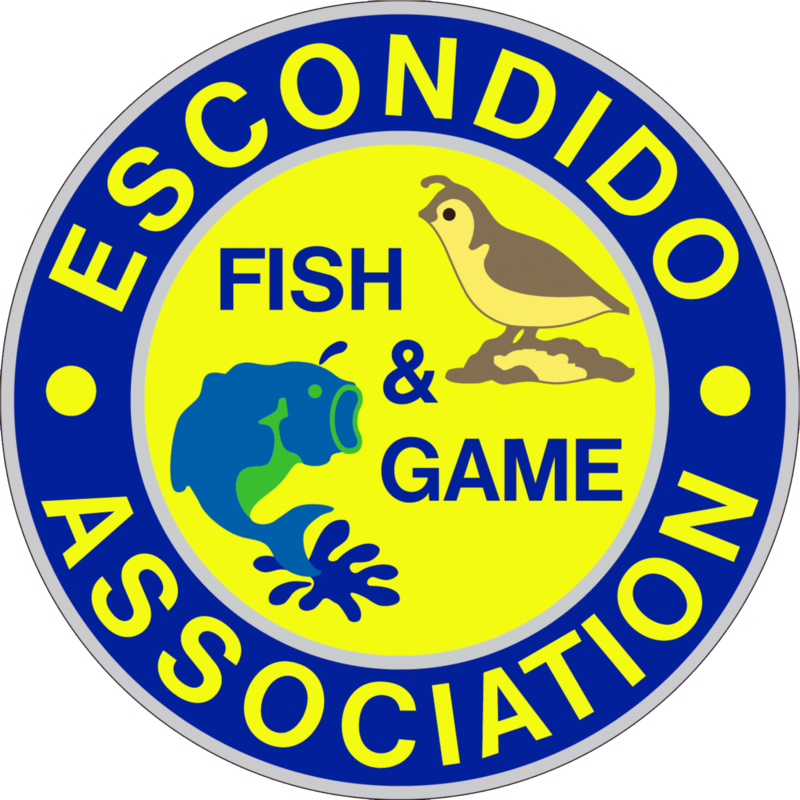 Results will be posted in the EF&GA Newsletter. Scoring is the opposite of most competitions. Scoring is based on the worst edge scoring method. A bullet hole that breaks the outside edge of a line is given the lower value. If in doubt, review the Scoring Example on the upper left corner of the target. See example below. Some kind of front rest. Rests which are adjustable for height and windage are preferred. Some kind of rear rest. 100 rounds of ammo plus extra for sighters. Staple gun for putting up targets.